Click HERE (you wont be sorry!!!) to preorder your copy! Ok so you all know Orenda Books by now, right?! RIGHT?! If not, you should be ashamed. Consistently publishing great books for the past two years, Six Stories is yet another absolutely stellar addition to its catalogue! I have had my beady eyes on this book since Karen mentioned it months ago, and it so totally and completely lived my expectations. Even though Six Stories is not out until next year, you need to add this to your wish lists YESTERDAY! Six Stories is so completely modern and relevant which makes it super easy to follow. Following the success and major interest in podcasts such as Serial and This American Life, Six Stories draws its inspiration from the current digital age and relates it back to a two decades old murder in a very inventive and intriguing way. Can I just take a minute to say, how ominous and creepy does Scarclaw Fell sound?! It conjures up some really dark and twisted imagery, not least with the elegantly crafted descriptions which Matt Wesolowski furnishes the reader with at various points within the novel. Anyway, back to the story! When Scott King decides to revisit the events that led to the discovery of Tom Jeffries body through six podcast discussions with those that were there in 1997, his quest is not an easy one. What follows is a deep psychological investigation, and the consequences are so completely unexpected. I turned the pages with trepidation and fear at times. Unsure of what I was going to read. The ominous feeling of dread crept over me more than once during the course of this book. However, it is so gripping and enthralling that I just had to keep reading to see what was going to happen. The anticipation was heightened as the reader is drawn into a spiderweb narrative and it was just the right amount of the unknown. 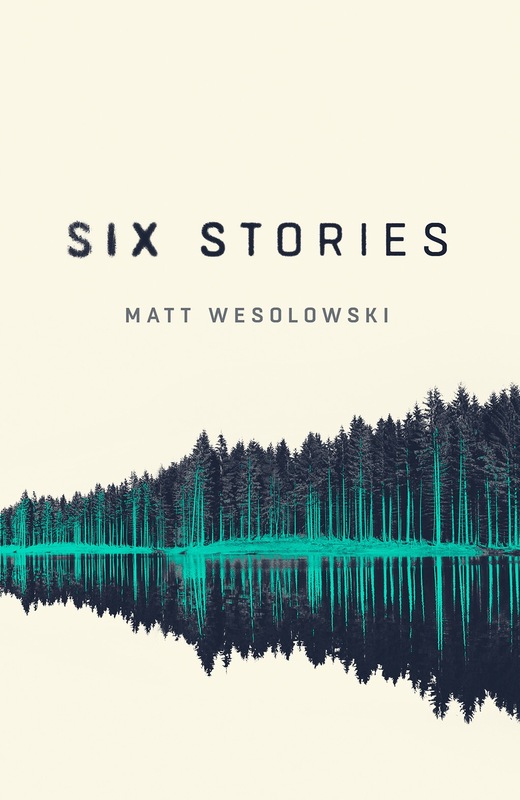 I can’t talk about Six Stories fully, not without giving away the subtle nuances that Matt Wesolowski has embedded into this chilling novel. Dark, mysterious and definitely not without elements of horror (for me, unseen terror is the WORST! ), I was more than a little unsettled while I read it. This sounds fantastic! Great review too. This sounds fantastic. Can’t wait to read it and will be pre-ordering.